I hate having to say this. 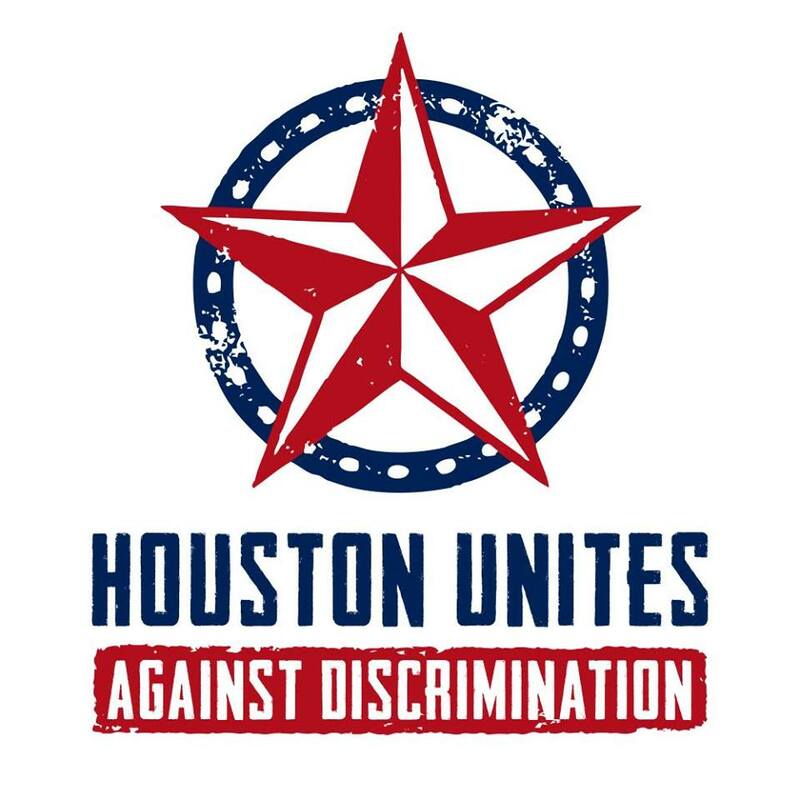 Opponents of Houston’s repealed equal rights ordinance haved placed 300,000 calls and will release a new TV ad next week warning about a possible City Council revival of the controversial non-discrimination law. All that despite no certainty that Mayor Annise Parker will find the political will and, most importantly, the time, to bring forward new equal rights legislation in the dwindling weeks before her term is over at the end of December. Several City Council members are battling heated Dec. 12 runoff contests and unlikely to willingly delve into the politically charged law that 61 percent of voters opposed this month. Shortly after the defeat, Parker said she had no set plan and needed to speak with council members about bringing back similar protections before she leaves office. But foes seized on her statement that some council members had suggested voting on individual protections, such as those offered in housing or employment or public accommodations. 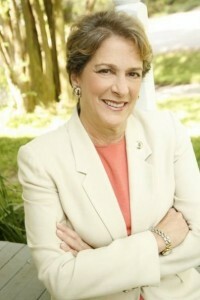 Councilwoman Ellen Cohen, one of the biggest champions of the law, said Friday that she has no plans to broach any non-discrimination legislation before the runoff election and “most likely not” before the end of the year. 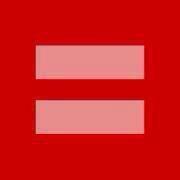 I can’t see any justification for bringing up any part of an equal rights ordinance before the end of the year. The liars won this round. (*) The runoff election presents another opportunity to engage the fight, since Sylvester Turner and Bill King are on record stating opposing views as to whether or not they would introduce a new HERO if they win. Get Sylvester Turner elected in December and there will be a mandate to have a do-over, hopefully this time with a better rollout campaign. I wish it were different, but then if it were we wouldn’t need to be having this discussion at all. The way to change the conversation is to win the next election. Let’s focus on that. (*) Way to continue to characterize the “debate” over HERO as a he said/she said disagreement about bathrooms and how effective that campaign tactic was, Houston Chronicle. Very Shape of Earth: Views Differ of you. It’s a little unclear from this story. The passage of Proposition 2 also means some current officeholders will be able to serve longer than the six years they originally signed up for. Current freshman council members will now be able to serve two more 4-year terms, for a total of 10 years. Those serving their second terms will be permitted a final term of four years, for a total of eight years. Those finishing their third terms this year, including Mayor Annise Parker, are not permitted to run again. Polls did show voters were more likely to oppose the measure when told incumbents could benefit, but there was no organized campaign on either side – aside from some radio ads and phone calls funded by GOP state Sen. Paul Bettencourt – and the ballot language did not detail the impact on incumbents. Ultimately, it passed by a wide margin. Barry Klein, who was involved in the original fight to pass Houston’s term limits in 1991, lamented that his small-government colleagues were too occupied with other issues to mount a campaign. So the next municipal election will be in 2019, and at this point all terms have become four years. Anyone elected for the first time this year – Greg Travis, for example – can run again in 2019 and serve a total of eight years. Council members elected to their third term this year, like Jerry Davis and Ellen Cohen, can serve until 2019, also for a total of eight years. This is why the original idea was to not put the change into effect until 2020, so no current members would get extra time. And the real lucky duckies, the people who were first elected in 2013, like Michael Kubosh, can run again in 2019, and if he wins he will get to serve a total of 10 years. So. Did you know this going in? I admit, I didn’t, but then I was always a No vote on Prop 2, so this particular detail more or less didn’t matter to me. 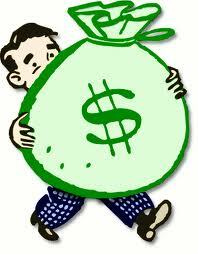 If you voted for Prop 2, does seeing this change your mind? One side effect of this change, which I doubt has received any consideration, is that the turnout level in HISD and HCC elections will vary dramatically in years with and without city elections. How many voters do you think will show up for Trustee races in 2017 if there are no Mayor or Council races on the ballot? I mentioned this as a potential problem for the idea of moving city elections to even years, and it’s as true here. I suppose that’s not the city’s problem, and if anyone in HISD thought about it they didn’t think loudly enough for the rest of us to hear, but there it is. What effect might this have in the off-year odd-numbered elections? Other than lower turnout, hard to say. 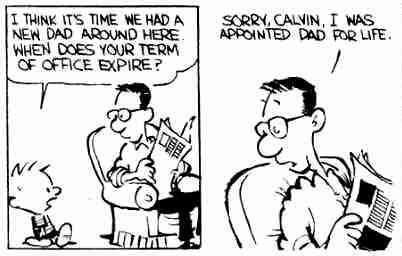 Maybe it makes it easier for upstarts to get traction, maybe it helps incumbents stay entrenched. We’ll just have to see. 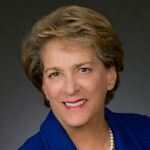 The Chron endorses CM Ellen Cohen for a third term. District council members don’t usually make national headlines, but last summer Councilwoman Ellen Cohen got her 15 minutes of fame while questioning Pastor Betty Riggle’s opposition to Houston’s equal rights ordinance. Riggle was arguing at City Hall that shopkeepers should be allowed to follow their religious beliefs when it came to discriminating against customers. The councilwoman took that rationale to its logical ends, and asked whether Riggle would defend discrimination against people like Cohen, who are of the Jewish faith. “No, I’m not saying – yes, I am saying that. But that is not the issue that we’re talking about,” Riggle clumsily responded. The exchange made headlines in publications like The Daily Beast and the Jewish Daily Forward, broadcasting Cohen’s quick wit and tough questioning to a national audience. However, Cohen’s constituents are probably more impressed by her ability to draw down 22 percent of the capital improvement plan budget for District C.
After four years, Cohen remains an exemplar on council and deserves two more years at City Hall. Here’s a reminder (with video) about that interaction with Betty Riggle, who committed the classic political gaffe of telling the truth. You don’t need me to remind you that I called this endorsement correctly, do you? Though I didn’t interview CM Cohen this cycle – here’s the interview I did with her in 2013 if you want to give it a listen – I’ve been a fan since she first ran for State Rep in 2006. I’m a couple of blocks east of District C, but if I lived there I’d be happy to vote for her. It’ll be different, but it makes sense. Next summer, after workers have spent months shifting lanes, adding crosswalks and planting trees, Allen Parkway will be a parkway again, at the cost of a slight slowing of vehicle traffic and the reintroduction of traffic signals. Partnering with the Downtown Houston Management District, city officials expect to start construction on a redesigned parkway after July 4, the date of the Freedom Over Texas celebration in Eleanor Tinsley Park just north of the parkway. The goal, downtown district president Bob Eury said, is to finish the work in time for Free Press Summer Fest in late May 2016. 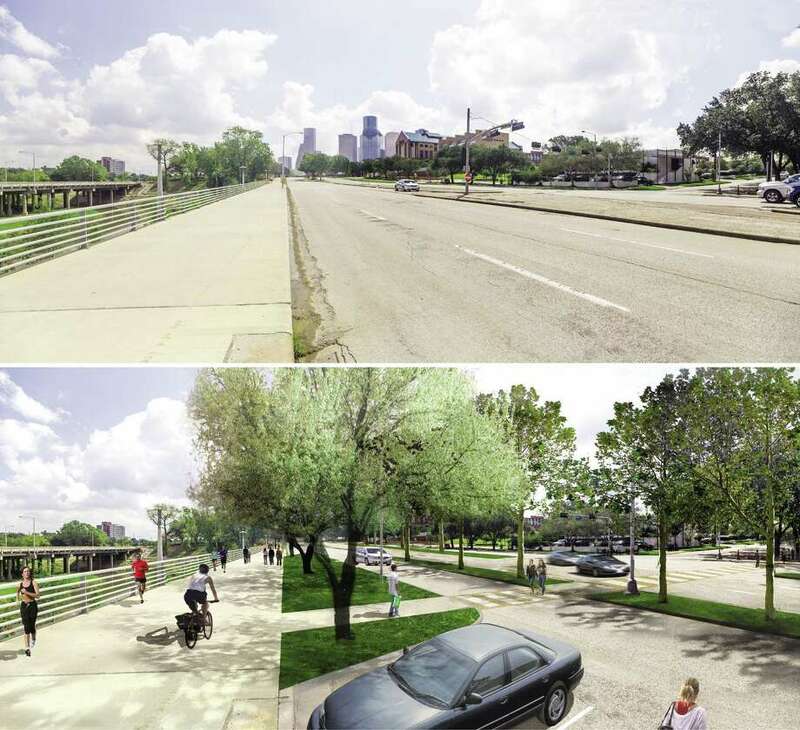 When completed, the $10 million in changes planned will improve pedestrian and bicyclist access from Midtown and Montrose to the Buffalo Bayou park system and add up to 175 parking spaces for visitors to the growing outdoor offerings along the bayou. “The goal we have is how do we improve access to this park,” said Andy Icken, chief development officer for the city. The work planned doesn’t dramatically change the parkway’s design, only its intersections and medians. Allen Parkway is essentially three strips of pavement separated by small concrete medians. The westbound and eastbound main lanes are accompanied by an access road south of the parkway. The redesign shifts the eastbound and westbound lanes south and converts the existing westbound lanes into an access road and parking area. Between the lanes, officials plan grassy medians planted with small trees, meant to calm traffic and bring back some sense of an enjoyable drive. “We are making Allen Parkway a real parkway and not a raceway,” [CM Ellen] Cohen said. The most dramatic adjustment for drivers will be signals at four key places. At Dunlavy, Taft and Gillette, traffic signals will give pedestrians and drivers a safer way to turn onto the parkway. Closer to downtown, officials plan a pedestrian-activated crossing, similar to the signals used along the new light rail line near the University of Houston campus. The light stays green most of the time until activated by someone needing to cross the street. It then warns drivers by following the traditional shift from green to yellow to red, stopping traffic to let the person cross, then turning green again. 1 On Allen from Shepherd, I shall not stop. she leadeth me to the paths of Montroseness or the Waugh’s take. the cops on Memorial they shake fists at me. and I will dwell on your curves with my Ford forever. 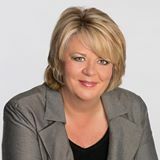 Lisa Falkenberg weighs in on the “Reverend RJ Ballard” email. The e-mail is the handiwork of Houstonians for Family Values, the group affiliated with none other than Dave Wilson. 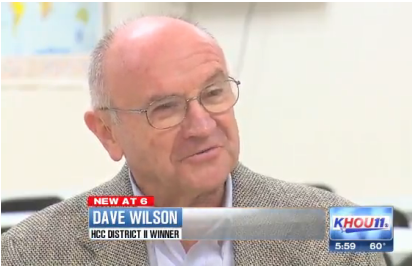 You may remember him as the old white anti-gay activist who got elected to the Houston Community College board last year in a predominantly black district by leading voters to believe he was black. He’s still up to his old tricks. He told me this week he’s gotten 10,000 signatures for his anti-ordinance petition, and he’s getting ready to drop a new batch of mail. Yes, this is the guy speaking for “the families.” An affable but bigoted trouble-maker who deals in racial caricatures, and his little friend – Portrait of Man Pointing. As it happens, the Chron ran a correction on Saturday, which noted that while Wilson did indeed send an email campaigning against the NDO, he denied having sent this particular email that I’ve now reviewed twice. Falkenberg called me on Friday to give me a heads up about that since I had forwarded the email to her and pointed out some of its obvious falsehoods. I looked over the email again after I got her message, and when I called her back I told her that it was possible he was telling the truth. The reason for that, which I hadn’t given any thought to till her call, was that the email in question was sent via Mail Chimp, which as we know from before isn’t secure. Well, crap. – The email was sent by someone who has a public reputation for being pro-equality but who secretly wants the NDO to be defeated, and so sent this out under the cover of a well-known bigot figuring his or her tracks would be covered. It sounds even less believable having typed that sentence than it did in my head, but it was the first thing I came up with, so there you have it. – It was sent by some other Anglo conservative in an attempt to mobilize a group with which he or she has no credibility or influence, done more as a flattering imitation of Dave Wilson than as a forgery. I can almost believe that, but I still get hung up on why the author would bother to include Wilson’s address. You’re already sending it out under a phony name, why confuse things by pointing a finger at someone? Maybe the answer to that is that the sender knew that some smartypants on the Internet would make the Wilson connection and that would serve to amplify the effect of the email. I guess that’s possible, but I’m reluctant to give this hypothetical second emailer that much credit for intelligence. – Finally, perhaps it was sent by a supporter of the NDO who feared that energy among its proponents was flagging, and s/he thought this might be a shot in the arm for their advocacy efforts. Seems pretty convoluted and with a potentially high downside, but I suppose someone could see it that way. For what it’s worth, even after the second delay, I haven’t seen any signs of proponents losing fervor for the fight, but perhaps someone else saw that differently. As before, we’ll likely never know the answer to this. If you think you know something about it, by all means leave a comment or drop me an email. And for the record, while Wilson’s denial is plausible, I’m not ready to let him off the hook. Even if he didn’t send this, one way or another he inspired who sent it. Yet, his constituents are saying something different: When he polled them, 47 percent came out against the ordinance and about 30 percent for it. And isn’t that the classic argument? We believe in rights. Just not for those people. “I want to make sure I’m not one of those persons who are doing that,” Davis told me. Good for you, Jerry Davis. People certainly do make some ridiculous arguments when they try to argue against the basic humanity of others. The website Good As You caught a great example of that during the Council meeting, in which CM Ellen Cohen got Pastor Becky Riggle to admit that opponents of the NDO like herself was equally arguing for the right to discriminate against people whose religion they disagreed with. You’d think with all the huffing and puffing lately about folks like Condoleeza Rice beind denied the right to collect a fat speaker’s fee at a commencement ceremony that it might occur to the Becy Riggles of the world that a right to discriminate includes the right to discriminate against them, but somehow that connection never gets made. Just another downside to lacking empathy, I suppose. I thought it would be over by now, but it’s not. A proposal to extend equal rights protections to gay and transgender Houston residents, which had been swiftly advancing to a City Council vote, stalled Wednesday as council members voted for a two-week delay to allow more public input on the increasingly divisive measure. 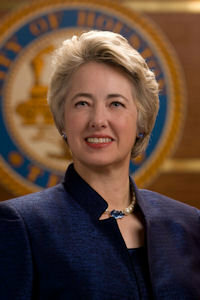 Mayor Annise Parker, the first openly lesbian mayor of a major American city, said she had the votes to pass the ordinance Wednesday but hopes to pick up even more before the council’s May 28 meeting. The 12-5 vote in favor of delay reflected not an erosion of support, she said, but the council’s desire to address constituents’ questions. Most opposition has come from clergy, from conservative megachurch leaders to black ministers. Opponents said they, too, plan to continue rallying votes; council offices have been deluged with calls and emails now numbering in the thousands. The proposal, already delayed one week amid tearful cries of support and angry protestations, has been the subject of intense debate for nearly a month. Houston political consultant Keir Murray said the delay is driven in part by some council members’ desire to address concerns from community leaders, particularly elderly black pastors, who may be uncomfortable with gay and transgender issues. The key piece of evidence here is that an amendment proposed by CM Robert Gallegos that reduced the minimum size for companies to be subject to this ordinance from 50 to 15 was adopted by an 11-6 vote. I can’t think of any good reason to vote for that amendment, then vote against the final ordinance, so I think it is safe to say that it is headed for passage. Councilwoman Ellen Cohen noted that scores of faith, nonprofit and community leaders have announced their backing for the proposal. “The idea that somehow this was a secret process, particularly after how many countless hours of public hearings we’ve had over the last few weeks, is interesting,” Parker said. Councilman Dwight Boykins pushed for the delay, saying he hopes to convene a meeting for pastors and business owners in his south Houston district: “Within the next two weeks, I think we will come to some conclusion where this city will heal this divisiveness in this city today. Councilman Jerry Davis held a similar meeting in his north Houston district, and said many pastors left with a better understanding of the measure even if they remained opposed. If CM Boykins, who voted for the Gallegos amendment, feels he needs more time to explain things to his constituents, then fine. That’s easy for me to say, since I get to do life on the lowest difficulty setting, but my scan of social media after the motion to postpone indicates that the folks who have real skin in the game are handling this latest delay with grace. My hat is off to them for that. So this will now be decided on Wednesday, May 28. There will be no Council meeting on the 27th, so the 28th will be both a public-comment session and a Council-vote-on-agenda-items session. That means you have one more chance to tell Council in person what you think, and of course you can continue to send them emails, telegrams, mash notes, what have you. The vote may be highly likely to go in favor, but if you’ve got a story to tell it’s important to tell it. Contact the City Secretary and get on the list of speakers for the 28th. One more thing. In my previous entry, I analyzed Dave Wilson’s latest piece of hate mail and pointed out two ways in which he was being blatantly dishonest. Turns out I wasn’t thorough enough. See the picture at the bottom with the caption about girls claiming to be “harassed” in the school bathroom by a transgender classmate? Though there is no link provided, that was an actual story that ran on some legitimate news sites. However, it was based on a complete lie put forward by a group of haters, and was subsequently pulled down after it was exposed as the fabrication it was. A reporter named Cristan Williams did the legwork, and you can read her story here, with a followup here. The original “story” was first printed last October, and a cursory Google search would at least indicate that maybe it’s not a hundred percent kosher. Given Wilson’s longstanding record of abject dishonesty, it’s far more likely that he knew all this but pushed the lie anyway than that he was confused or minsinformed. The lesson, in case I haven’t been sufficiently blunt, is that you should never, ever believe a word Dave Wilson says. Thanks to Transgriot and Media Matters for the links. Welcome to the start of the 2013 interview season. Things are going to be a little different for me this year, because my personal schedule is not as flexible as it has been in years past. What that means is that it’s going to be more of a challenge for me to schedule interviews, and at this time I can’t make any guarantees about what interviews I’ll be able to do. I’ll do my best as always, but I’ll get to what I get to, and that’s about all there is to it. Putting together a dedicated page for my interviews and the candidates’ campaign finance reports is somewhere near the top of my to do list, but it’s not been done yet. Check back later for that. The Leader News reports that the proposed mid-rise apartment complex for Yale at 7th Street has been reworked in a way that would avoid the need for a variance. The deed restrictions involved single-family homes within the proposed complex — properties that the owners did not want to sell and that TCR was able to design around. TCR’s earlier request for construction with a variance failed before the Houston Planning Commission. The letter to Cohen also says TCR has restricted the project’s driveway on Allston Street to be a service exit, left turn only, to divert traffic away from the neighborhood. And, the developer “is willing to work” with Allston Street neighbors if they seek parking restrictions or “No Parking” signs adjacent to the apartment project. In addition, the letter to Cohen says that if the city will approve a HAWK signal — a crossing signal controlled by pedestrians or bicyclists — at the bike trail adjacent to the mid-rise’s site, TCR will fund and build it. Similarly, the company “is prepared to make a contribution” to the detention pond/park at Rutland and 6th streets. See here for the last update, and see here for a copy of the letter sent to CM Cohen’s office, which they shared with me. “TCR” is Trammel Crow Residential. I had thought they’d get the variance that they were ultimately denied, so I’m not going to speculate what may happen here. The neighborhood is still opposed to the idea, or at least the more vocal factions of the neighborhood is opposed. I know there’s a lot of interest in putting some kind of signal at the bike trail crosswalk, so you’d think there might be room for negotiation here. Be that as it may, there is a public hearing scheduled for 2:30 p.m. May 23 at City Hall Annex, 900 Bagby St to discuss this, so we’ll see what happens this time. Swamplot has more. Council will vote on the proposed Uptown/Memorial TIRZ this week, which may or may not put an end to some of the wild speculation about what expanding the Uptown TIRZ boundaries to include Memorial Park may mean. Imagine you’re jogging through Memorial Park, squinting past rows of neon signs in front of fast food joints, the music from bars in a kitschy corridor akin to San Antonio’s Riverwalk barely audible over the roar of nearby bulldozers. This is the dystopian portrait some citizens paint of a proposal to annex the park into the Uptown Tax Increment Reinvestment Zone. They say the move is a takeover of the city’s most precious green space by an unelected board, and fear the process could result in disruptive projects being built before the public has a chance to weigh in. The problem with this view is that there is no evidence to support it, as city leaders repeatedly have said; Mayor Annise Parker bemoaned the “really goofy theories” that have been swirling. Adding the park to the nearby Uptown zone is simply a way to funnel $100 million during the next 27 years from one of the city’s richest redevelopment boards into a park ravaged by the 2011 drought and in need of erosion control projects, irrigation, a new jogging trail and other repairs, officials say. Though the Uptown zone or Memorial Park Conservancy may take the lead on select projects, officials stress any improvements in the park must be specified in advance and approved by the city Parks and Recreation Department and by City Council. Parker pointed out the Uptown zone already is working in a small portion of the park in its boundaries, and that a similar arrangement is succeeding in Emancipation Park. That has not stopped Councilwoman Ellen Cohen, whose District C includes Memorial Park, from fielding numerous calls and emails from concerned residents. Turner assured her no such plans are being discussed. The only specific project on the table today is the Uptown zone contributing $1 million toward a new master plan for Memorial Park, which he said would include ample time for public comment, including at least four public meetings, in addition to several hearings before City Council. They make some important points – none better than Olive Hershey, the stepdaughter of Terry Hershey, the determined conservationist and life member of the conservancy who fought government agencies trying to pave parts of Buffalo Bayou in the 1960s. I didn’t address this when I wrote about it then because it seemed a bit ridiculous to me. I understand the concerns about transparency and public input, but I just don’t find the scenario being put forth here as remotely realistic. If there were ever even a rumor of this sort of thing being proposed or in the works, people would storm city hall with pitchforks and torches. Nobody who could be elected to anything in Houston would allow this to stand. I don’t understand where this is coming from. There may be less-farfetched things that could happen, but I don’t know what they are, and it’s still not clear to me what level and form of public input would be acceptable to assuage these fears – I still haven’t seen any suggestions to that effect. As noted in the story, the TIRZ meetings are open to the public, and five of the eight members are appointed by the Mayor and Council, which gets back to that pitchforks and torches thing. I totally get the desire to ensure that Memorial Park is preserved. I’m right there with that. I just want to know what the remedy is that would also allow for the needed improvements and infrastructure repairs to be made to the park. Today the Board of Directors of the Planned Parenthood Gulf Coast ACTION FUND Inc, (PPGCAF) voted to endorse the following candidates for the November City Election. Each of the endorsed candidates has demonstrated a strong commitment to the health and well being of Texas women and families. PPGCAF encourages all Houston registered voters to cast their ballot for candidates who support women’s health education, information and services. A copy of the release is here. I’m still a little too focused on the legislative session to pay that much attention to the city elections, but I’m not going to let a slate like this pass by without notice. The only mild surprise on this list is CM Costello, who started out as a Republican in good standing but who has been a pragmatic moderate in office. He drew a challenge from the right in 2011 and will likely draw another this time around, but he was still viewed with considerable skepticism by left-leaning groups despite winning numerous endorsements from Democratic clubs. It’ll be interesting to see how that dynamic plays out this time around. The PPGCAF will likely have more endorsements to make as the open seat contests come into greater focus; it’s possible they’ll take a side against an incumbent or two, depending on who files for what. I’ll be curious to see if they take a position in At Large #2, where CM Andrew Burks is a Democrat but will almost surely face a strong challenge or two. The same is true for HIDS Trustee Larry Marshall. Speaking of HISD, Anna Eastman now has an opponent, Hugo Mojica, who ran in the special election for District H in 2009. As I noted before, there are currently no open seats in HISD. Campos had an update on who’s filed designations of treasurer so far. Needless to say, that list is a work in progress. This is as good a time as any to ask what rumors and rumblings you’ve heard lately. Leave a comment and let us know.